Used to set knocking point. Quickly and easily find zero point for any diameter arrow. Strong, magnetic clamp allows placement anywhere on the string or serving. 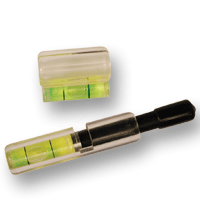 Large diameter "short" piece slips over any size arrow.